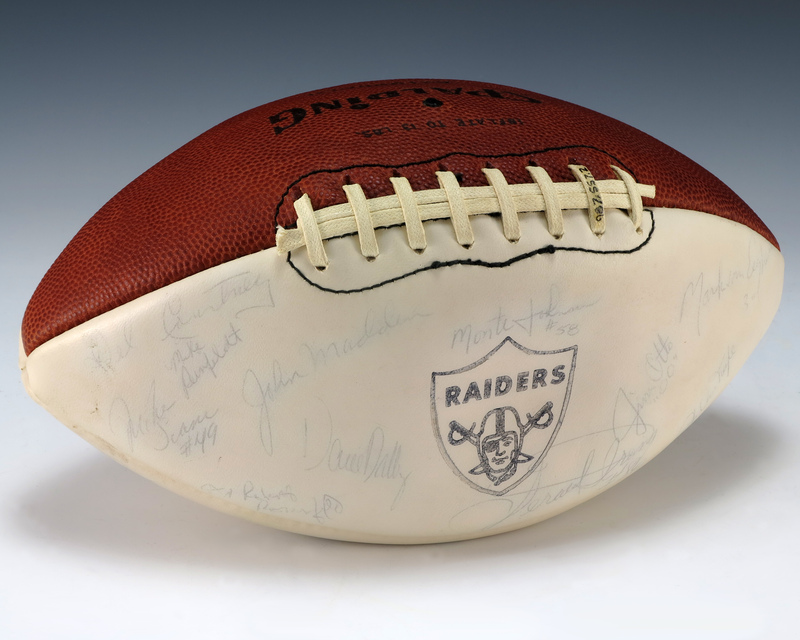 A football signed by members of the 1975 Oakland Raiders including Hall of Famers: John Madden, Jim Otto, Dave Casper, and George Blanda. Other notable signatures include: Mark van Eeghen, Ray Guy, Ken Stabler, Al Davis and John Robinson. The football sports one brown quarter and three white quarters. Given to congressman Ford during his Campaign by the Oakland Raiders head coach John Madden.